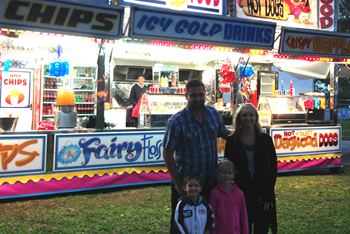 Carnival Land Amusements is a leading supplier of concession stand rentals and supply. Whether it is for carnival theming, a trade show promotion, sales gimmick, fundraising for your local school fete, or church fair, Carnival Land is here to make your event a success. 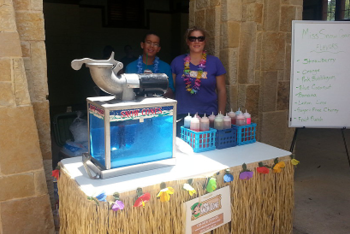 Our concession items include Sno Cones, Popcorn and Fairy Floss. This is where a Sno Cone machine is set up in a tent if it's outside, or a designated area if inside, with an operator and all ingredients to make up to a pre specified amount for a set fee. 3m x 3m in tent, 1m x 1m if set up inside. 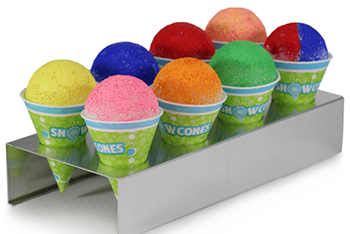 Hire the Sno Cone machine with drip tray and scoop to operate yourself. Simple to use, you just provide an operator, ice, cordial, cups and power access. Hire the Popcorn Warmer to operate yourself. Simple to use, you just provide an operator, pre-popped popcorn and paper bags or boxes. These tents come complete with staff, tables, skirting, signage, machines and ingredients. 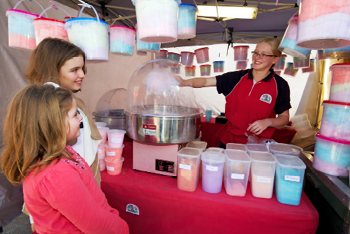 We offer fresh fairy floss on sticks and in bags, popcorn, and sno cones in a range of flavours. We are happy to pay a percentage of the days take, or a site fee depending on the event. Conditions apply. Whose head doesn’t turn as the music starts playing in a street near you? Whether it's a traditional van or a more modern version, the result is the same. 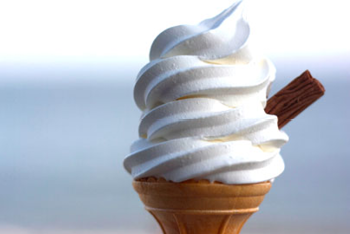 The fond memories of racing around looking for spare change on those hot summer days to get a soft serve icecream. The biggest decision then becomes, one swirl or two? To dip in chocolate, or not? Dippin’ dots as the name implies is ice cream in the form of dots. The unique process developed in the 1980’s has the ability to freeze ice cream in the shape of dots without the inclusion of air and ice crystals. The end result is ice cream that is denser and creamier in taste than traditional ice cream whilst being unique in its appeal. This professional trailer and product is available to come to your event. 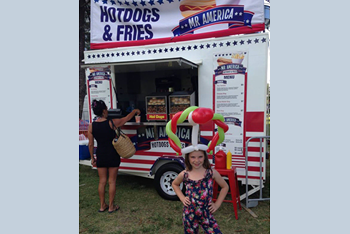 Dagwoods Dogs, Hamburgers, Chicken Burgers, Sandwiches, Hot Dogs, Hot Chips, Waffles, Churros, Donuts, Muffins, Cold Drinks, Coffee, Tea and lots more. If you need carnival food contact us now. 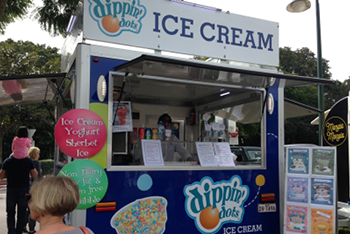 School fete specialists with a narrow menu , to a full blown catering outfit for festivals, shows, or major corporate events. ”The Yankee” is perhaps the most popular with all ages. It’s a freshly steamed bun and steamed frankfurt, lovingly topped with ketchup and yellow American mustard. There are loads of choices, something for everyone. 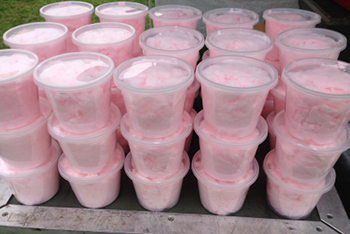 Fairy floss, cotton candy, what ever you call it, it is delicious and will always be extremely popular. There are a number of options available depending on you requirements. A wide variety of flavours are available, including Vanilla Pink, Cherry, Watermelon, Strawberry, Lemon, Sassy Apple, Blueberry and Pina Colada. This is where a Fairy Floss machine set in a tent if it’s outside, or a designated area if inside, with and operator, sugar and sticks for an unlimited supply of Fairy Floss on sticks. 3m x 3m in a tent, 1m x 1m if set up inside. Bags of Fairy Floss can be pre-ordered. A minimum of 100 bags applies per order. A range of sizes are available and can also be pre-ordered. A minimum of 100 buckets per order. 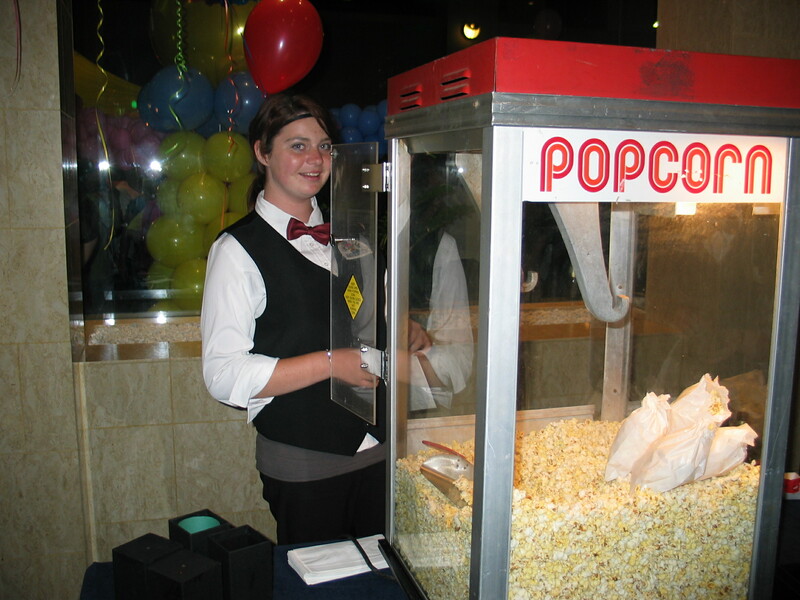 We also have for hire a range of clean, well maintained sideshow food-vending machines, to make and sell Popcorn and Sno-cones. These can come with just about all your supplies packaged in the hire price which also includes expert instruction. Or we can operate them for you. Round Up, Paratrooper, Giant Ferris Wheel, Cobra, Music Trip, Whizzer, Avalanche, Octopus, Lets Dance, and many more.